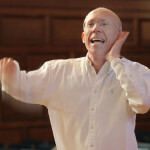 In addition to the Philharmonic Choir Christopher also conducts the Stanborough Chorus. 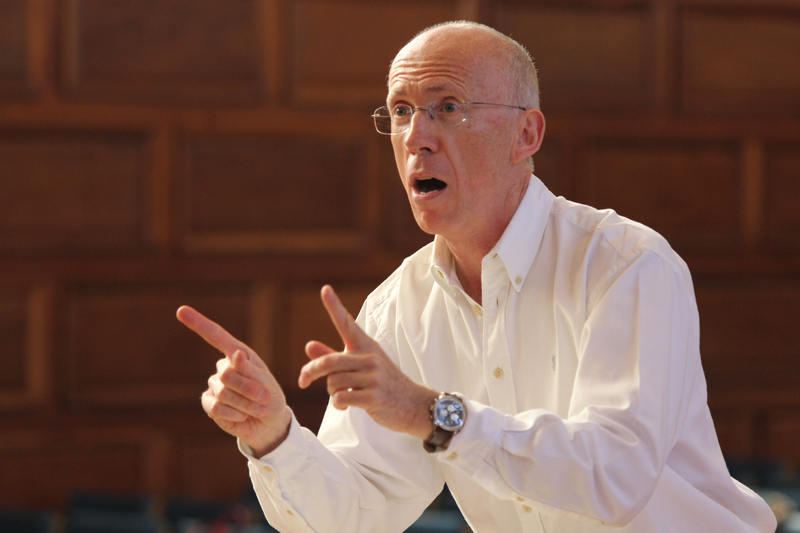 He has also directed numerous other Devon societies including the South Devon Choir, Lupridge Singers and the Chagford Singers. 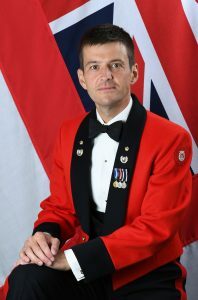 Having grown up in a musical family, Huw Williams was offered a position as solo cornet in the Royal Marines Band Service at the age of 16, and left school in order to join. 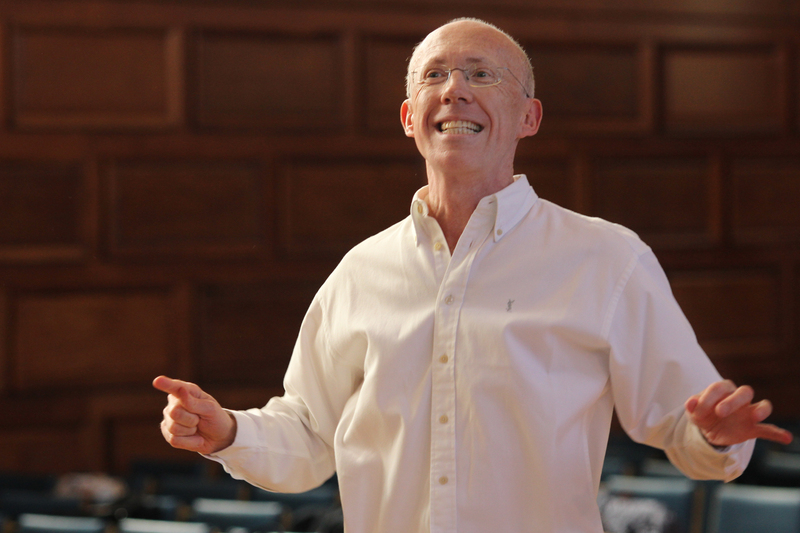 At the Royal Marines School of Music in Deal, Kent, Huw studied cornet with Prof. Sydney Rose for two years and was awarded the Prince’s Badge for best musician under training before being posted to the Plymouth band in 1996. During this posting he performed all over world, including at the handover ceremony of Hong Kong, Philharmonic Hall St Petersburg, Buckingham Palace and some twenty nights at the Royal Albert Hall. A seven-month deployment aboard HMS Illustrious took in many of the Mediterranean ports, through Suez and the Red Sea on the way to the Philippines, S Korea, Japan, Malaysia, Singapore, and finally Australia. Huw also gained his BA(Hons) during this time through the Open University, studying and sitting exams in all kinds of places, aboard warships or even under canvas in the Omani desert. In 2002 Huw was drafted to the Royal Marines School of Music, now in Portsmouth, to the post of cornet instructor. Selected Bandmaster in 2006, he returned to Plymouth band where he also became musical director of Bodmin Town Band. Commissioned and promoted to Captain in 2010, Huw was appointed Director of Music of the Band of HM Royal Marines, Commando Training Centre, where he served as OC Rear Party for UK Medical Group and Joint Force Support on Operation Herrick 14. 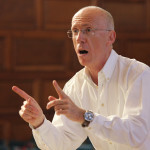 From 2011-2013 he studied orchestral conducting under David Jones at the Royal Welsh College of Music, before returning to Commando Training Centre Royal Marines as Director of Music until 2015. A two year assignment to HQ RMBS followed, where he was responsible for manning and tasking of RM Bands. 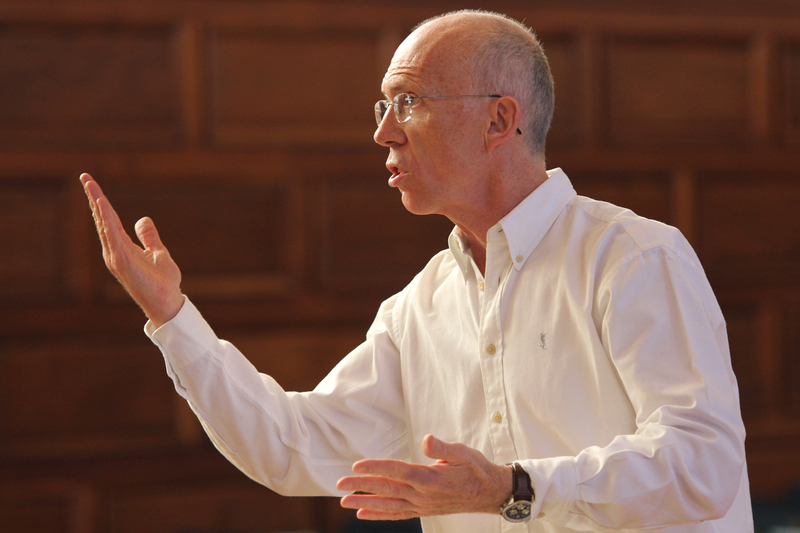 He is delighted to have taken up his new post as Director of Music Plymouth in September 2017. A father of two and keen marathon runner, Huw lives in Emsworth, on the Hampshire-Sussex border. 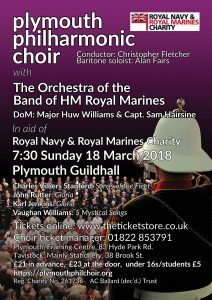 The Band of HM Royal Marines, Plymouth is based at HMS Raleigh in Torpoint, Cornwall. 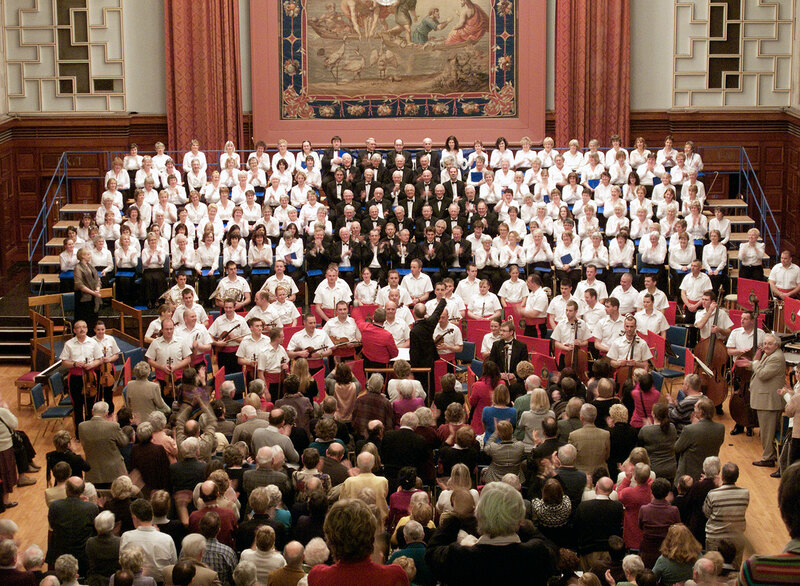 The band undertakes a wide variety of ceremonial work of national importance, as well as fulfilling its main role of providing music for the ships and establishments of the RN. 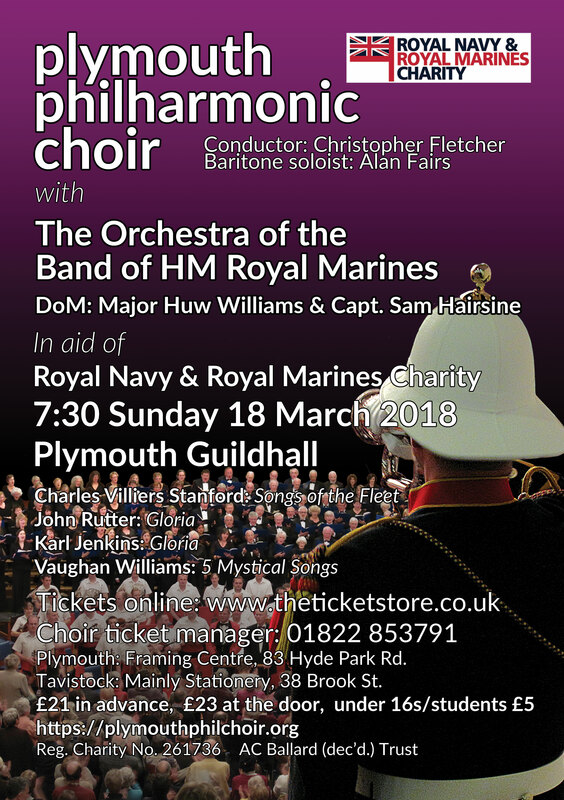 To form the Orchestra for the concert with Plymouth Philharmonic Choir, musicians are also coming from the Commando Training Centre at Lympstone. Based at Lympstone in Devon. CTCRM selects and trains all Royal Marines Officers, recruits and reserves. CTCRM is unique in that it also provides all Non Commissioned Officer (NCO) command training as well as training 70% of all Royal Marines specialists. HMS Raleigh is the largest Royal Navy training establishment in the South West. It’s made up of a 239-acre main site, a maritime training centre on the River Lynher, and satellite bases for leadership and team-working exercises on Dartmoor and the Rame peninsula. HMS Raleigh is the ‘front door’ for entry into the Royal Navy, where ratings from all branches receive their 10-week Initial Naval Training. The seven schools on site provide a broad spectrum of training, ranging from the Submarine School to Damage Control and Board & Search, which also train members of the Royal Marines, Royal Fleet Auxiliary and the Royal Navy Reserve. On a typical day there are around 2,200 people on site. Musician Ruth Wardle was born and educated in Ulverston, Cumbria. 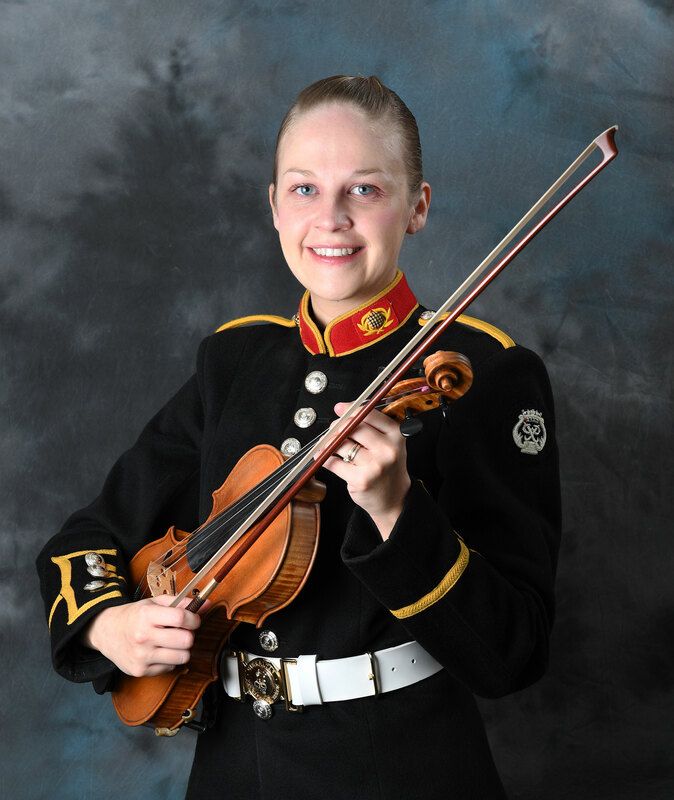 After graduating with a BMus (Hons) from the Royal Conservatoire of Scotland, Ruth joined the Royal Marines Band Service on saxophone and violin in 2013. Throughout training she received various awards including the Bradford Cup, the Bronze Medal from the Worshipful Company of Musicians and the Prince’s Badge for the best overall Musician. On completion of training she joined the Royal Marines Band Plymouth where she is still serving. During her time in the Band she has enjoyed trips to Abu Dhabi, India, Switzerland and Belgium and has had invaluable experiences performing at prestigious venues such as the Royal Albert Hall and Buckingham Palace. Ruth features regularly as a violin soloist, her most memorable performance playing the encore ‘Duelling Strings’ at the Mountbatten Festival of Music in 2016. Alongside studying for her Masters in Music, Ruth is also preparing for this year’s MFM where she will feature as a soloist. In her spare time Ruth enjoys playing hockey and regularly plays for the Royal Marines Ladies team. 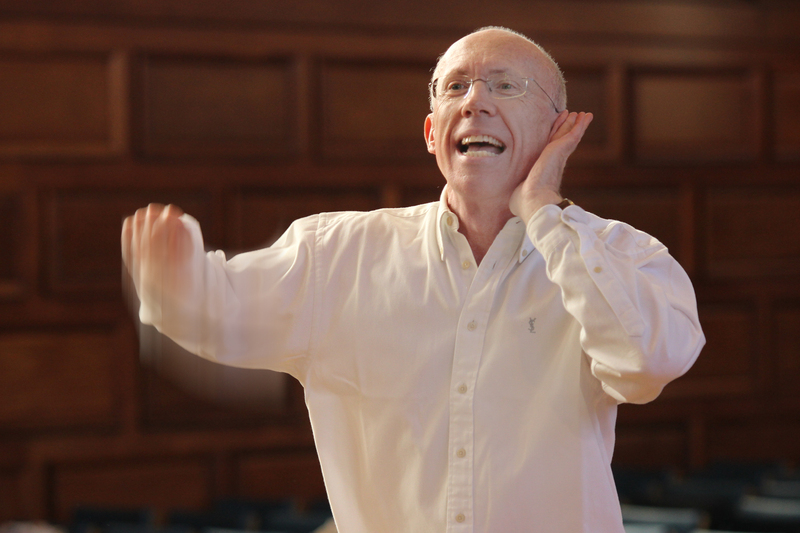 Alan Fairs career began as an oratorio soloist. 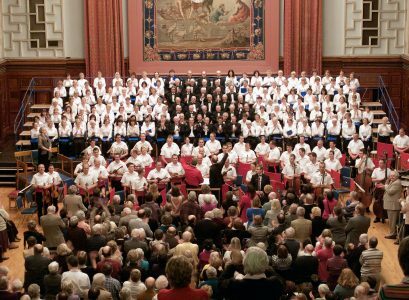 He has sung for well over a hundred choirs and choral societies from Truro to Aberdeen, and been heard in concerts in Europe. 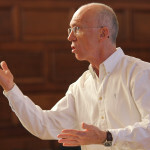 In recent years he has enjoyed growing success in the world of opera, and performed principal roles for a very large number of opera companies and operatic festivals in the UK and overseas. 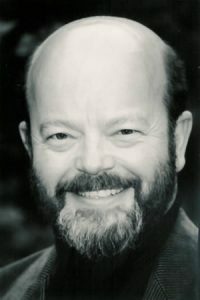 Feeling fortunate to have a wide vocal range, which covers bass and baritone, he has successfully performed both Sarastro and Germont Pere, and the title role in Falstaff. For the more baritone repertoire, I’d say that my timbre is on the ‘dark’ side. 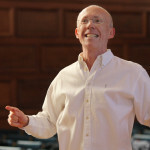 Alan’s repertoire includes Mendelssohn’s ‘Elijah’ and bass for Verdi’s ‘Requiem‘ and much more. The Royal Navy and Royal Marines Charity is the principal charity of the Royal Navy. It exists to support sailors, marines and their families, for life. Beneficiaries lie at the heart of The Royal Navy and Royal Marines Charity’s purpose, it is the duty of the charity to remain focused on their needs. Since 2007, RNRMC has funded projects and facilities that boost morale for those who serve today. It also distributes millions of pounds annually to military charities which care for the children, families and veterans of the Royal Navy and Royal Marines.